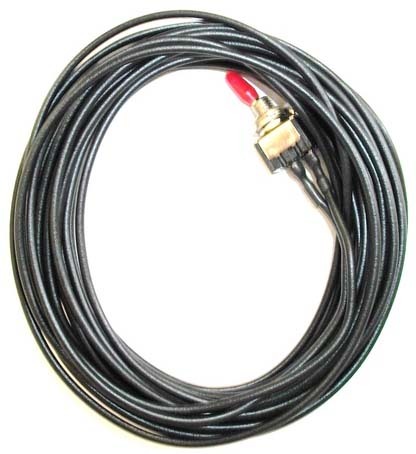 This is a kill switch for any car or truck with a Diesel engine. With this auction you will get 1 mini-toggle switch, wire, and 10 minute installation instructions, and I will assist you via email if you have any questions. After you make the purchase, all you have to do is email us the year, make, and model so we can provide you correct kill switch for your specific vehicle. This kill switch is easy to install, 2 wire hookup. The switch itself is 1/2 inch long and 1/4 inch wide, so you can hide it easily. No matter how the thieves try to hot wire the car or truck they will not get it started, even if they bypass the factory or after market alarm. Even if they have your keys they will not be able to start it. The kill switch can be mounted anywhere in the front seat area, under the dash, under the seat, wherever you think is a good hiding place. You only have to drill a 3/16? hole to mount the kill switch (if desired). Some vehicles require a wire to be cut for the install and some do not (the installation instructions will provide you with this information). This kill switch can lower your insurance rates depending on the insurance company. If you have any questions we will be happy to answer them. We will send out the kill switch within 24 hours of purchase (excluding Sunday?s and holidays) .